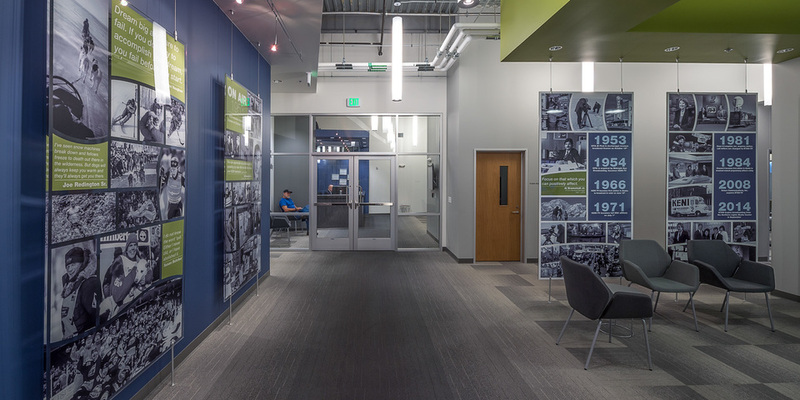 Scope: Assist the design firm and their client to provide the interior furnishings for KTUU’s brand new state-of-the-art broadcast facility. One of the major challenges was taking a client that was used to working in private offices and helping them understand and embrace the open office concept. The project consisted of over 100 workstations in a variety of configurations, as well as conference, training, and public spaces. 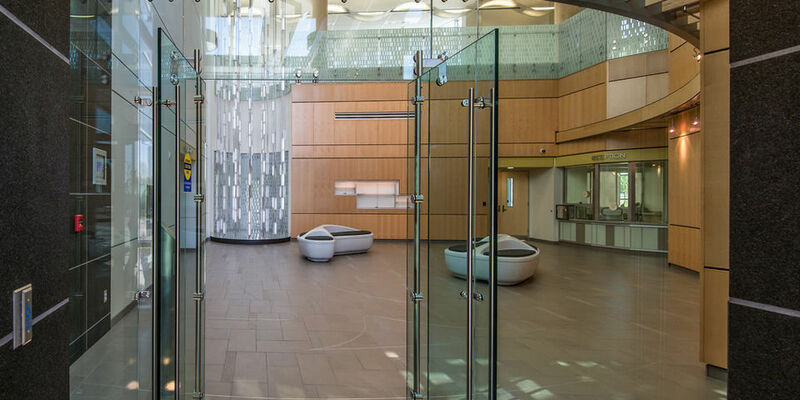 Scope: Architectural walls and glass storefronts with sliding, soft-close doors. 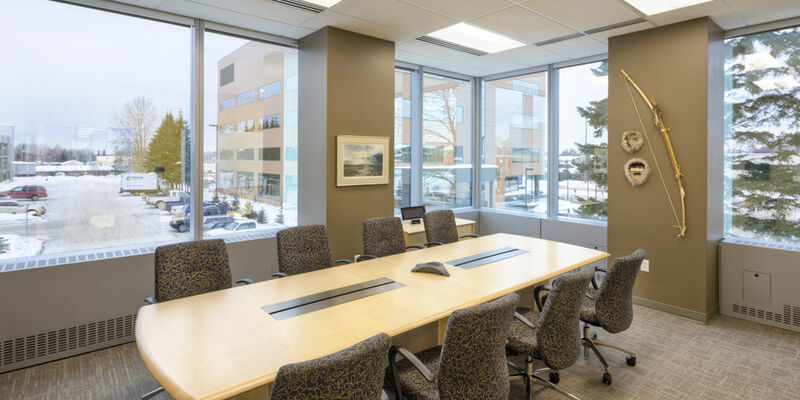 Demising walls feature magnetic glass markerboards up to 9’ 4” wide. 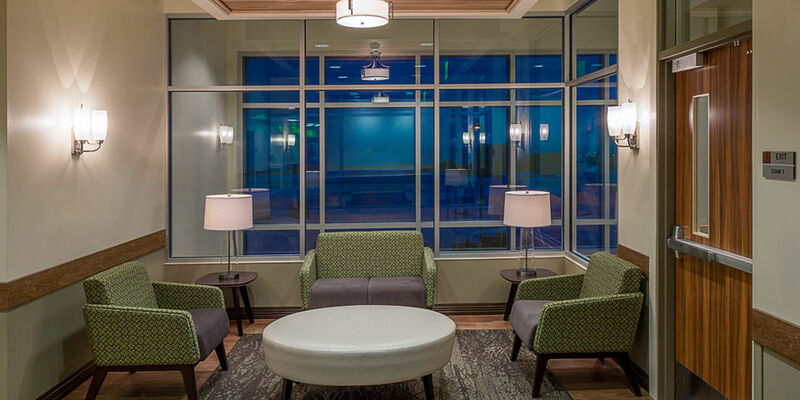 Dual paned clerestory glass and insulated panels promote acoustical privacy. Products: KI Genius demising walls, with KI Lightline glass storefronts and doors. General Contractor: Criterion General, Inc. 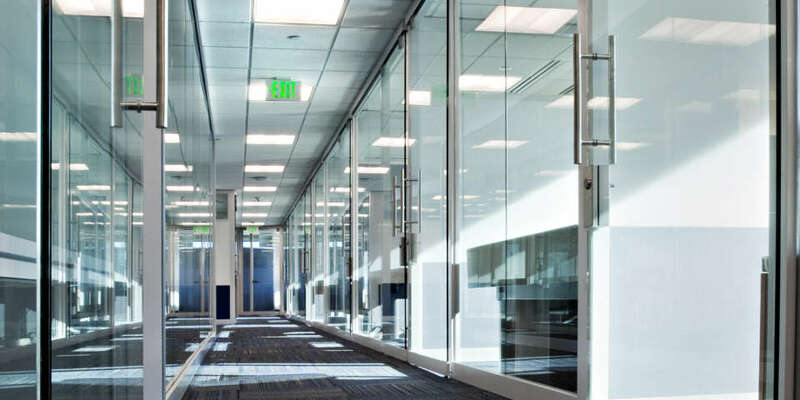 Scope: Furnish architectural glass wall system, open plan workstations, private offices, high density file systems, conference room furniture, and seating in new JL Properties facility at International and C Street. 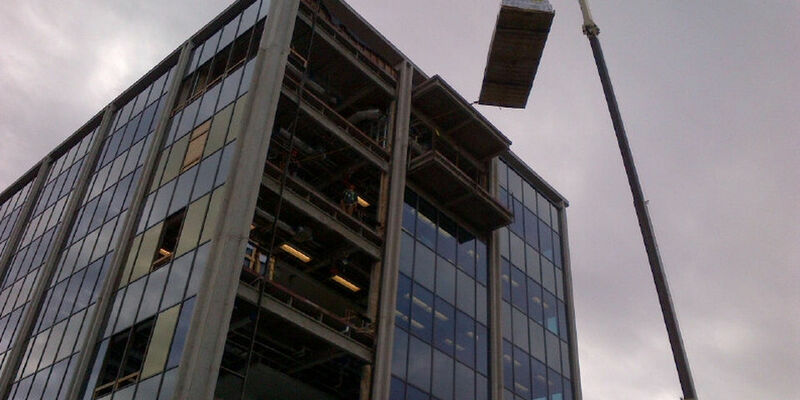 DAVIS OFFICE BUILDING (NEW HOME OF DAVIS CONSTRUCTORS AND ENGINEERS, INC. Scope: Assist the design firm and their client with development of a furniture plan that included modular administrative workstations, wood executive offices, and a glass storefront wall system with butcher block wood doors. 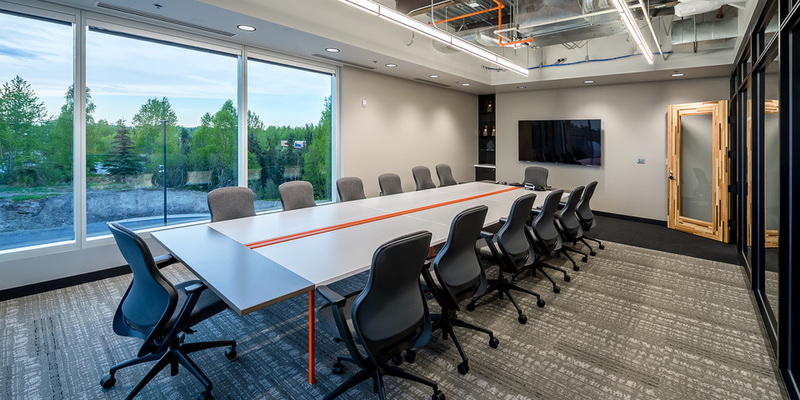 The furniture was intended to tie into the building architecture, so we created a custom orange paint for the desking that matched the company branding and corresponded with painted overhead pipes. Open- plan modular workstations featured exposed hardware and cable baskets to match the building aesthetic. 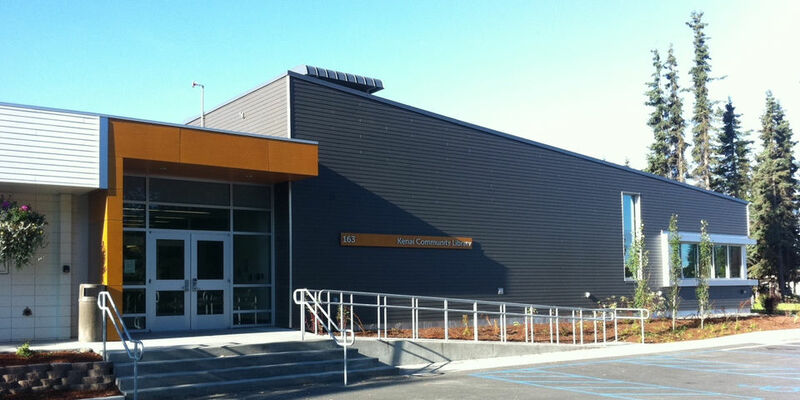 General Contractor: Davis Constructors and Engineers, Inc. 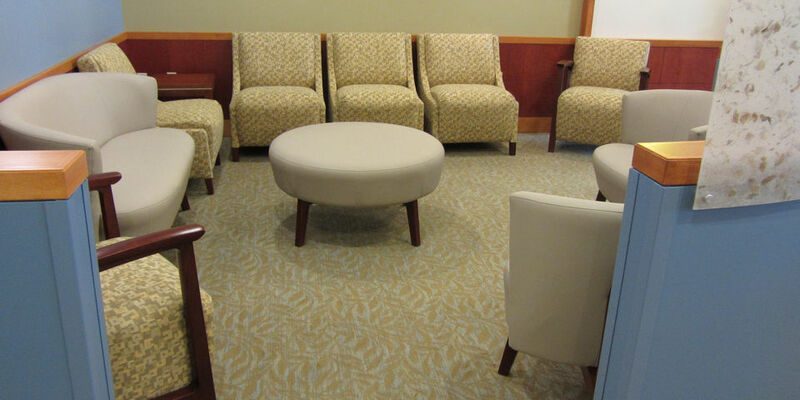 Scope: Furnish almost every area in the brand new 144,000 SF hospital. Scope: Assist the design firm and their client to develop a plan to consolidate staff and services within a new building in Kenai, AK. 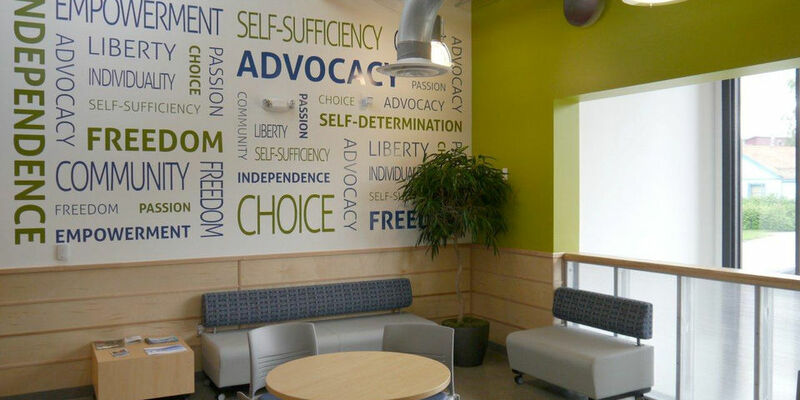 The facility was required to reflect the client’s culture while at the same time integrating multiple service providers into a team setting. We engaged the staff members of the various departments to better understand their work flow and create an analysis of their new integrated work setting. Using on-site meetings, individual feedback, and computer conferencing, we developed a broad picture of how the various components within the organization can better work together. With this plan in mind, Think Office designed an Integrated Workspace that included modular workstations, consultation areas, and educational spaces. 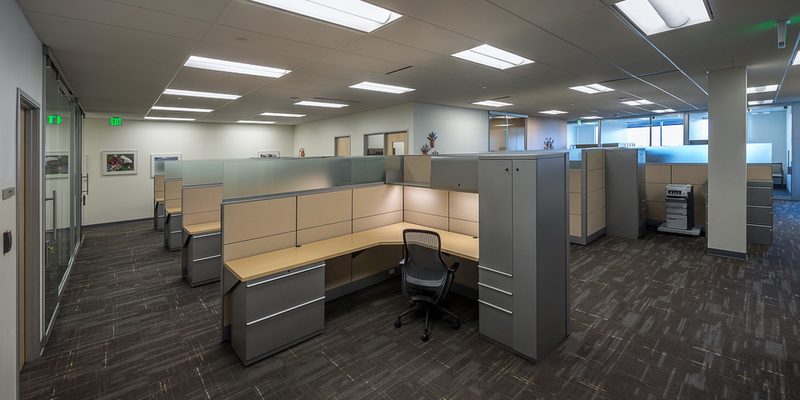 This comprehensive furniture package not only helped the client’s organization function at a higher level, but also remained consistent with their mission statement that focused on serving the needs of the Kenaitze people. Design Firm: Architects Alaska, Inc. 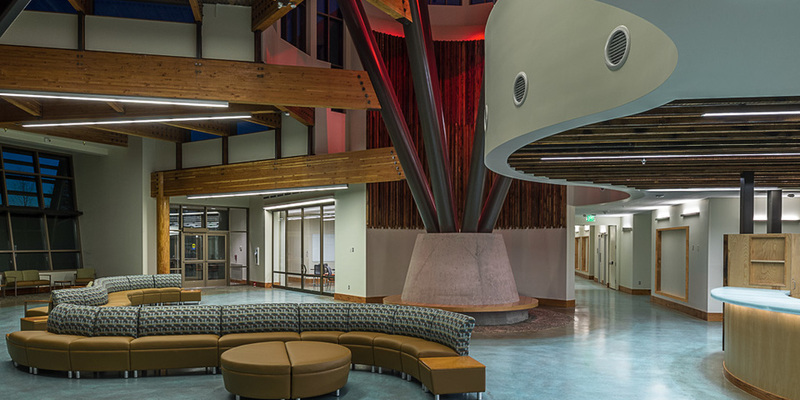 Scope: Worked with Kumin Associates, Inc. and Dowl HKM on workstation space-planning, procurement, consolidation, delivery and installation of interior furnishings, equipment and accessories for this long‐term care facility located in Nome, Alaska. Design Firms: Kumin Associates, Inc. 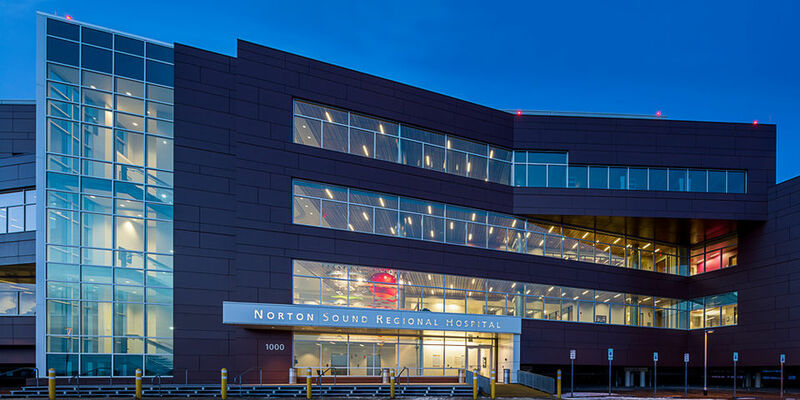 Scope: Entire facility, including 61 workstations, task seating, lobby and lounge seating, conference rooms, storage, and lab-specific seating. Products: Knoll Dividends Horizon modular workstations, Knoll Generation and Life task and conference seating, Krug conference tables, and KI lounge and training room furniture. 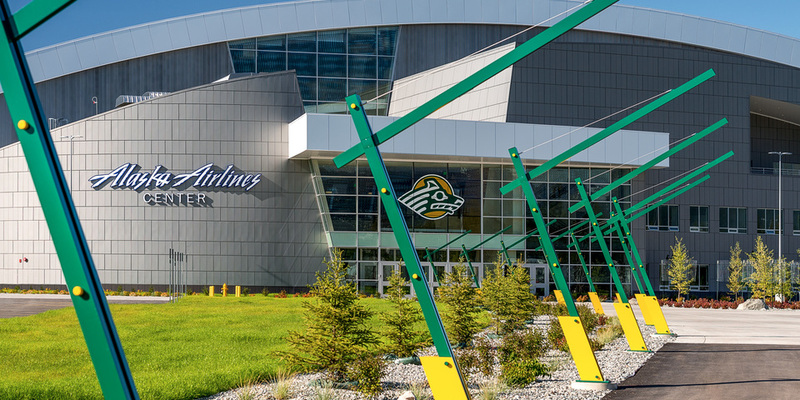 Scope: Furnish and install the administrative offices of the UAA Athletic Department. The project included the incorporation of sit-stand desks at virtually all work stations, and product that is robust enough to withstand the rigorous use of NCAA athletes. 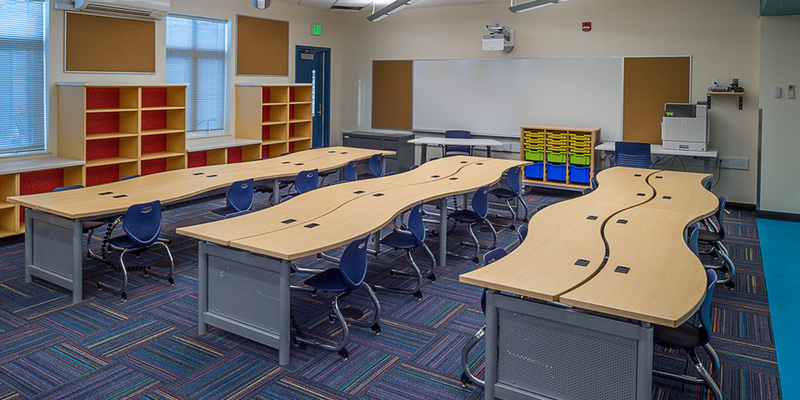 Scope: Provide and install the complete furniture and equipment package for the remodeled and expanded elementary school in Metlakatla, AK. 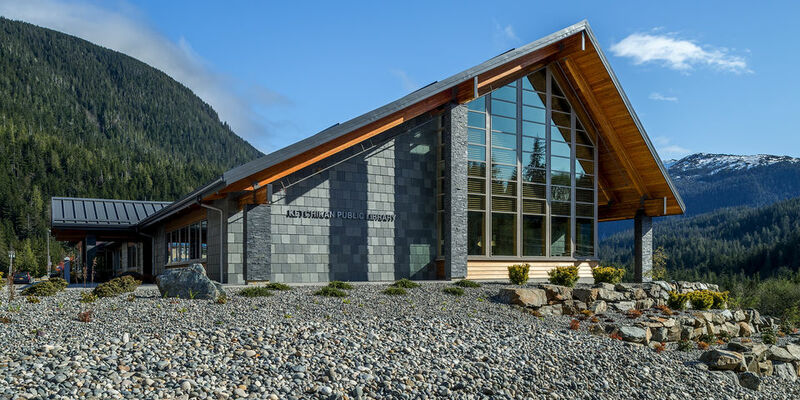 We engaged with local residents to assist in the complex install located in the Alaska’s southern-most community and delivered a project that was as successful as it was beautiful. The entire installation was completed in less than a week, and most importantly, was ready for the first day of school! Scope: Entire facility, including library administration staff workstations, task seating, lounge and reading furniture, study rooms/enclaves, computer support kiosks, and children’s furniture. “Kael arranged for installation and did not rest until we were happy with the final product. He was always available via email, office phone and cell phone to answer all questions and concerns. Products: Modular workstations, task seating, conference tables, and lounge furniture. Major Brands: KI, Arcadia, Davis, Jasper. Major Brands: Knoll, Walter Knoll, Magnuson Group and KI. Scope: Furnish new Battalion and Company Headquarters buildings. Deliver and install all furniture within three weeks of receiving award. 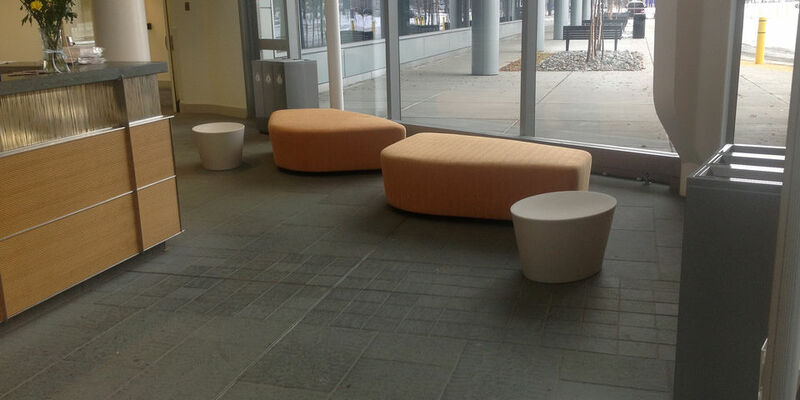 Scope: Furnished waiting areas, children’s play area, ergonomic task seating, ergonomic tools, benches, and tables.